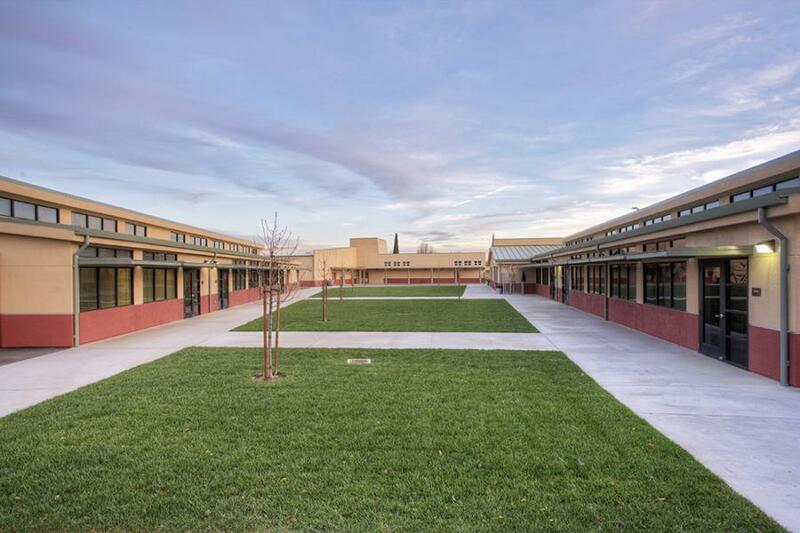 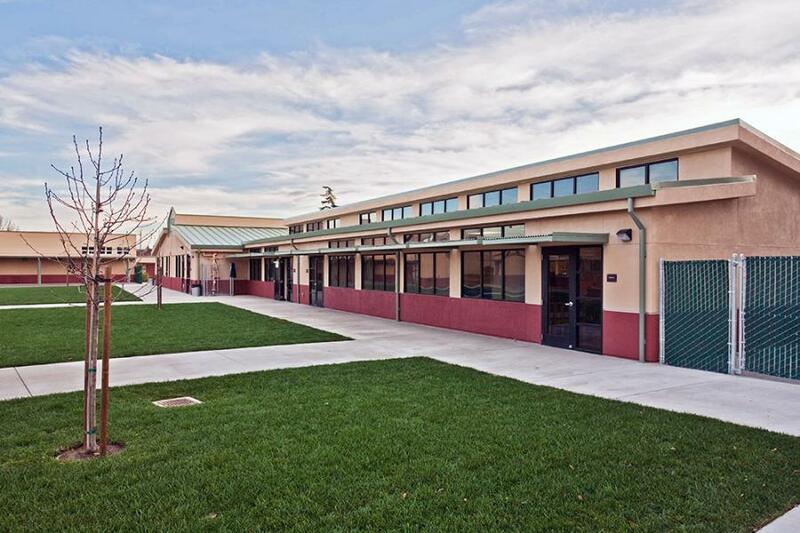 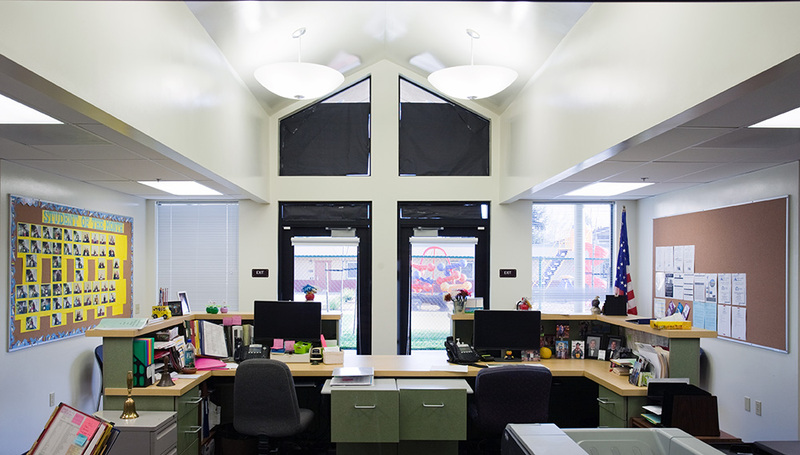 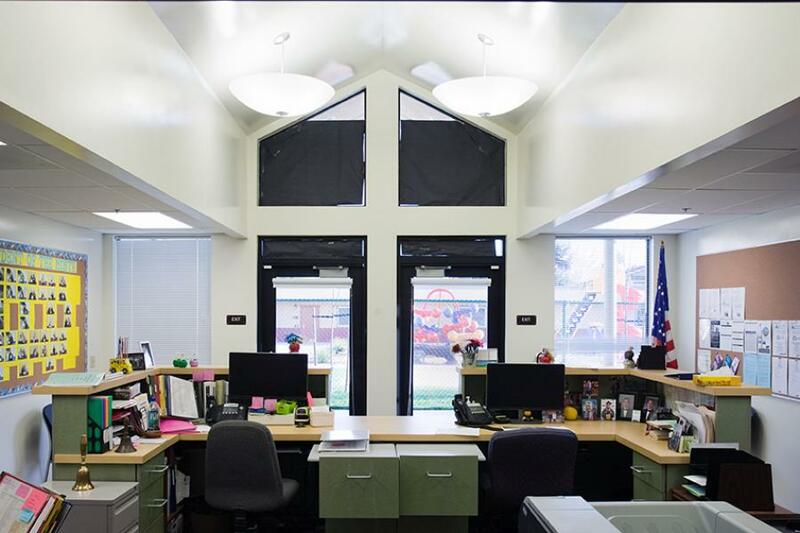 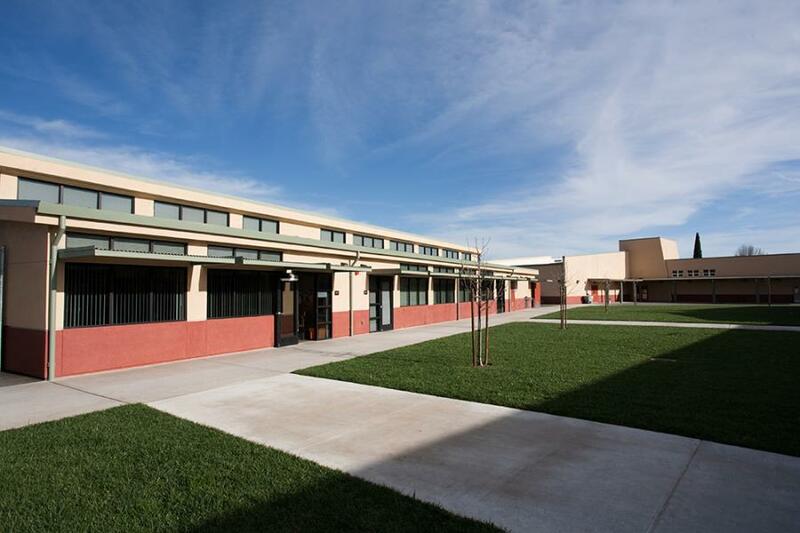 Initiated by the need to replace the aging administration building and early grade classroom building, the program was developed to include reorganizing the site into defined learning communities for kindergarten, early grades, and upper level classes. 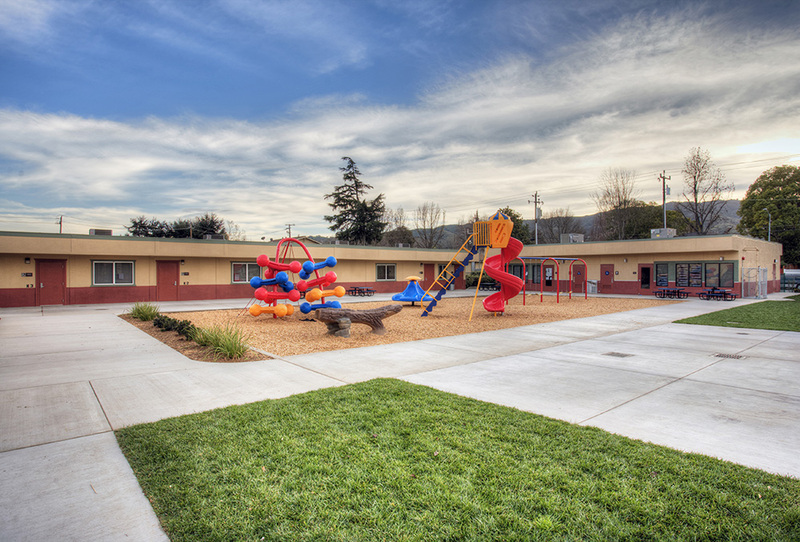 The kindergarten area was created by relocating an existing modular building and adding a new custom modular building around a fenced playground and grass area. The early grade area is a grassy triangle flanked on two sides by early grade classroom wings and terminated by the existing multipurpose/library building to create an early grade “village”. 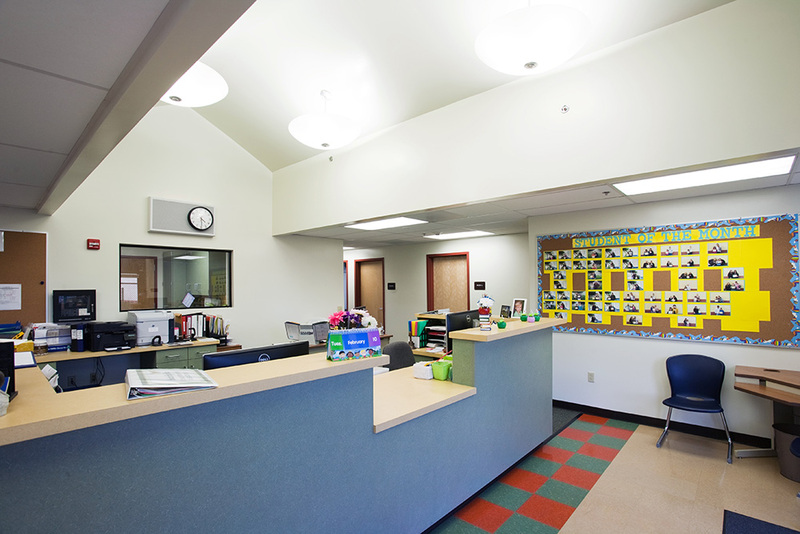 The new Administration building is located between the two areas, offering superior supervision of the spaces and convenient access from both the drop off area and the courtyards.